An example of this would be let’s say you’re expecting your loved one, like just think of a person that you love the most, whether it’s a spouse or a child or a parent or whoever. Whoever it is, just think of somebody and what happens if you know they’re taking an airplane trip and you hear that the airplane has crashed. How do you feel? Really upset, I’m sure. Then let’s say all of a sudden they actually call you and they had missed their flight or something. How do you feel? The truth or the facts are always that there is a plane that crashed and that your loved one was not on it, but the assumption that you made at first was that your loved one actually perished or was in the crash, and then that turned out not to be true, but you made that assumption and you had a feeling based on that assumption and then you had a different feeling later when more facts were revealed to you. We have to be really careful about our feelings, you know? 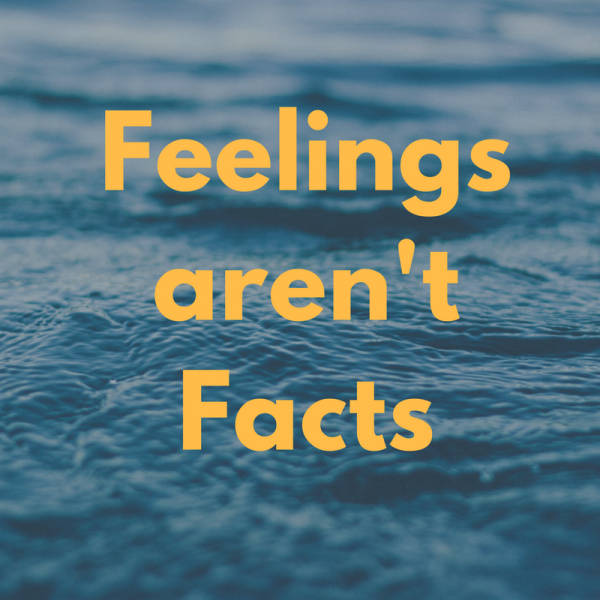 We have to accept our feelings because they are real, but they might not be based on real or true information. They might be based on misinformation, okay? 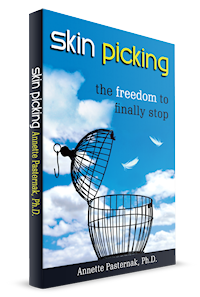 When you feel like you have to pick, you actually just feel like you have to but you actually don’t have to, okay? People, because they feel like they have to, they think that they have to, right? You just kind of automatically believe your feelings, just as you automatically believe your thoughts very often. Let’s examine what’s behind this feeling or what you think is going to happen actually based on the feeling. You may be feeling your anxiety rise, urge to pick feels very great, and it’s uncomfortable, right? You just might assume that the comfort … Or the discomfort just keeps going up and up until what? I mean, I’ve asked clients this. What do you think is going to happen if you just don’t pick when you feel like you need to? Sometimes people think they’ll go crazy and I can assure you you’re not going to go crazy. Sometimes, I mean … It’s like you’re not going to even explode. Like you may feel like you’re going to explode or something, but I can guarantee you you’re not going to explode, you’re not going to go crazy, you’re just feeling like you need to. But just because the urge seems to be going up and up, doesn’t mean it’s going to go up to infinity, okay? It never does, okay? It will go up and after a while it’s going to level off and go away, okay? Like a wave kind of. If you haven’t experienced that yet, that might seem hard to believe but if you have even just for a little bit, like if you’ve been working on this, it’s quite amazing maybe the first time you realize like you were having the urge to pick so badly and then all of a sudden you realize you hadn’t even been thinking about it, you’ve been thinking about other things and totally forgot about the picking. There are lots of things that can help you with that, like when you’re having a crazy urge, maybe you already know some of them and just need to kind of remind yourself like hey, I could actually go wash some dishes, because that kind of helps me tolerate the urge or like forget about it. Or I could like jump up and down and shake or take a shower or any number of things or do some deep breathing. Any number of things can help us and of course, like just blocking yourself from doing the picking in some way really helps as well. Just like wearing gloves or bandages or making sure not to be able to see your skin, whether you change with the lights off or use the bathroom with the lights dimmed or the mirror covered, etc. Those things are really important too. But in helping you be able to like start to ride out these urges or not even having them as much because the urge comes … Most of the time you’re not feeling terrible urges unless you’re already touching or already looking at your skin, okay? 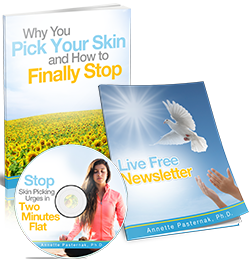 You may have anxiety that you feel like you need to pick, but it’s so much worse once you’re already looking at and already touching your skin, or it’s so much actually harder not to pick once you’re already looking at and touching your skin. This is the way, this is the work that you really need to do is starting to just pay attention to how you feel. Kind of disengaging from it in a little bit in a way, being the observer of what you’re experiencing rather than being caught up in it. If you can practice that and noticing the urges and tolerating them, that’s the work that you’re going to practice that and get better and better at it and that’s really the way out of this whole prison of this behavior. You can do this. You absolutely can. Bit by bit, step by step, and if all you can tolerate at first is just like taking one breath, do it, okay? It will get better, I promise. I hope this is helpful for you. Please write a comment, ask a question below, and if you like the video, give it a thumbs up, subscribe to my channel if you’re not already, and I’ll see you later.